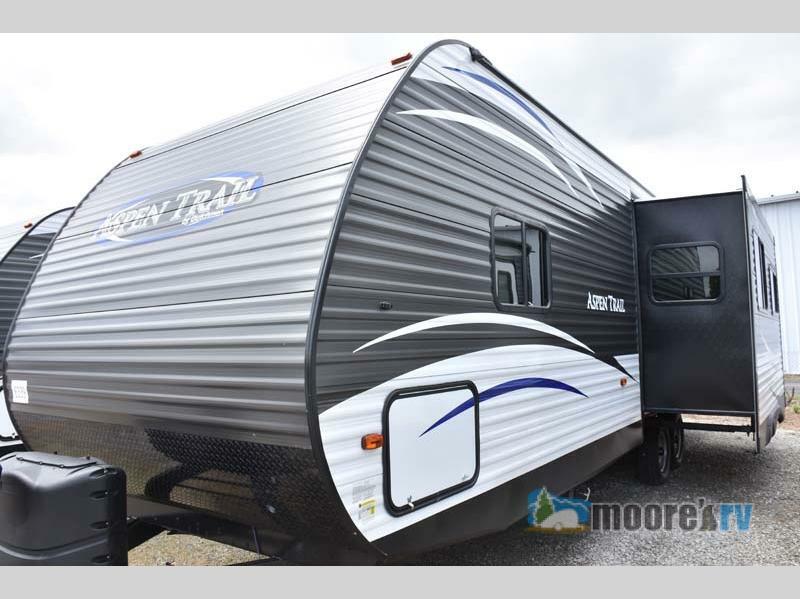 When it’s time for just the two of you, you need a couples trailer that will take you on your next adventure in comfort and style. No kids, no outside distractions, just you, your favorite person, and the great outdoors. (And a comfy bed to sleep in at night!) The Dutchmen Aspen Trail travel trailer has everything you need to help you reach new camping levels. The Dutchmen RV Aspen Trailer travel trailer is a perfect couple trailer. 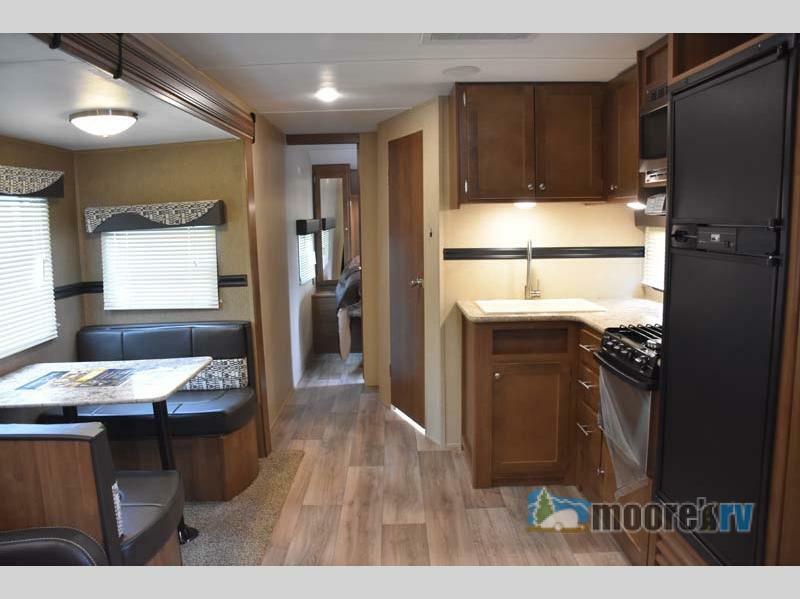 When you are looking for a great place to relax at the end of the day, the Aspen Trailer travel trailer 2860RLS has a great floor plan. The 2860RLS has a wonderful living space. There is a sofa with end tables and overhead cabinets along the rear wall. A Living Room slide out includes two chairs and a booth dinette. These spaces are all conveniently located near the kitchen. Which is perfect when you need a little snack while you cozy up watching your favorite movie. Pantry for storing dry goods. Refrigerator for your favorite beverages. Microwave for quick bags of popcorn. Wrap around counter top for more prep space. It’s cozy and perfect for time away with your sweetie. Before you head off to bed, clean up in the bath that includes a radius shower, sink, and a toilet. The bedroom includes a dreamy queen bed, dual closets, and an overhead shelf for additional storage. You are sure to get a great night’s sleep in this cozy master bedroom. When you need time away for just the two of you, the Dutchmen Aspen Trail travel trailer is the answer. The perfect couples trailer. If you have questions Contact our friendly staff at Moore’s RV. We are here to help you get on the road to adventure with your favorite person.